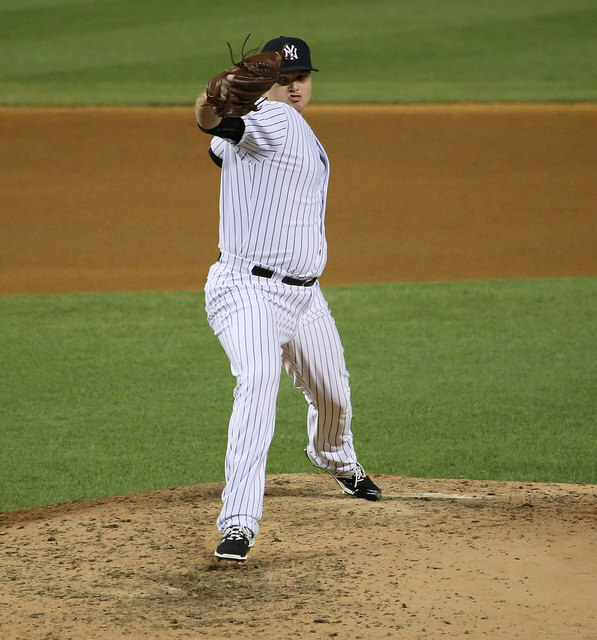 The New York Yankees are certainly not losing sleep after trading left-handed reliever Justin Wilson to the Detroit Tigers for two minor league starters, Luis Cessa and Chad Green, and nor should you. A bullpen is important, no doubt, especially in this day when teams value dominance at the back end of games. Wilson, 28, is not dominant. He’s pretty good, but he’s also a nightmare waiting to happen. Wilson owns a career 8.7 K/9 (it’s been over 9.1 per nine the last two seasons) and it is good that he does because his walk rate (3.7 per nine) necessitates it. In my view, this is a player who can have a great season, but can also look pretty bad. His career suggests as much as well. After a good 2013 season for the Pittsburgh Pirates (2.08 ERA, 3.41 FIP, 7.2 K/9, 3.4 BB/9), Wilson was mediocre for them in 2014 (4.20 ERA, 3.62 FIP, 9.2 K/9, 4.5 BB/9). The Bucs traded Wilson to the Yankees for Francisco Cervelli. Wilson did a fine job with the Yankees last season (3.10 ERA, 2.69 FIP, 9.7 K/9, 3.0 BB/9), but it was sometimes like walking a tightrope. One glaring concern was Wilson’s groundball rate dropping from 53 percent in 2013, to 51.3 percent in 2014 and finally to 43.8 percent last season. Declining groundball rates are not a good thing for a pitcher in Yankee Stadium. 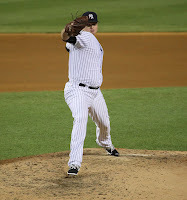 The Yanks used a position of strength – having three lefty setup relievers on the roster to fall back on in Chasen Shreve, Jacob Lindgren and James Pazos. Not all three will break into the bullpen at the same time, but at least two could (likely Shreve and Lindgren), and all three have as much ability as Wilson, and Lindgren might have more upside. Setup men are a dime a dozen. Why rely on an arm that is so inconsistent, when the club could extract value of deepening its upper-level minor league starters? The Yankees shouldn’t, and didn’t. In my view, there was little risk here. Now, we shouldn’t expect Cessa or Green to amount to top-flight starters either. Cessa moved into the Yankees top-30 minor leaguers (No. 19) according to MLB.com Pipeline. Besides Ivan Nova and Bryan Mitchell, the closest to big-league-ready rotation arms that the Yankees had were Brady Lail (37 IP at Triple-A) and Rookie Davis (33.1 IP at Double-A). Cessa and Green fill a void at the least and do not leave the Yankees hanging in the bullpen. The club can figure out the bullpen from the wealth of arms already on the roster (Branden Pinder, Nick Rumbelow and Nick Goody among those already mentioned), or they can continue to build via trades or low-level free agent signing. Justin Wilson was a nice piece in 2015, but I cannot imagine his departure truly affecting the Yankees in 2016 or beyond.